The extended set of gamepad controls. Four face buttons arranged in a diamond pattern. The controller this profile is associated with. A block called when any element in the profile changes values. The left shoulder button element. The right shoulder button element. Saves a snapshot of all of the profile’s elements. Signature for the block executed if any element in the extended gamepad profile changes value. 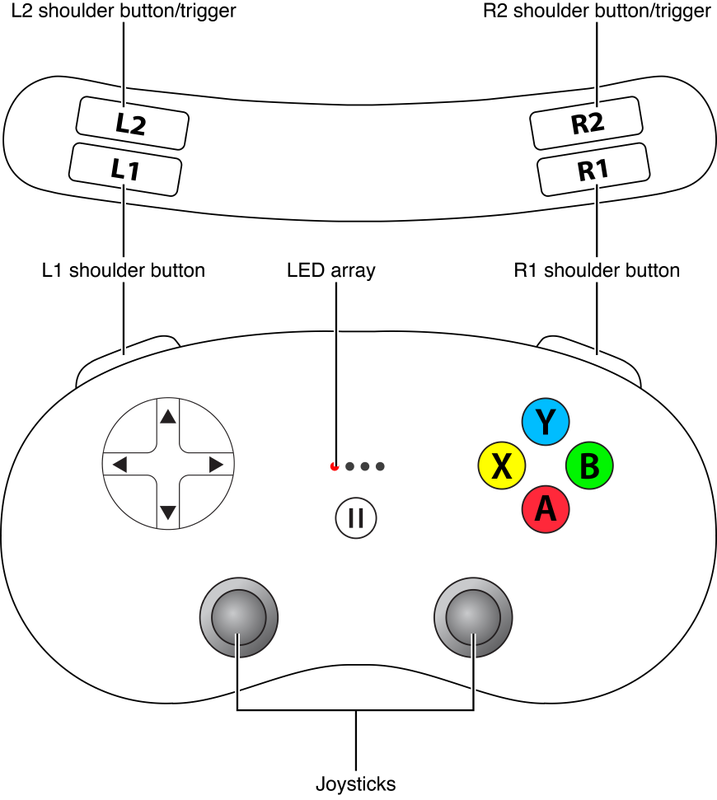 The standard set of gamepad controls. The controls provided by the Siri Remote. The orientation and motion of the controller.